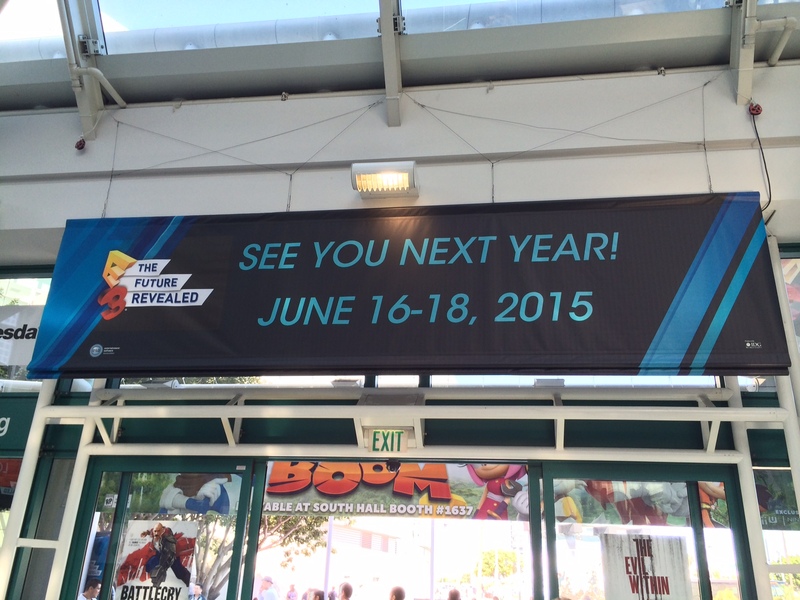 E3 2015 will be bittersweet for me, since this is the first E3 I won’t be able to attend since I first started going in 2009. I’ve had many fond memories of the past few years, and hope to make a triumphant return to E3 in 2016. Although I’m not able to physically attend this year, I’m looking forward to the show nonetheless. Bethesda will have their first ever presentation at the show, no doubt to show off more of Fallout 4. Square-Enix will be showcasing the increasingly uninteresting Final Fantasy XV and maybe Kingdom Hearts 3. Who knows, maybe The Last Guardian will finally show up. I must be honest though, I always look forward to Nintendo’s presence at the big dance the most. 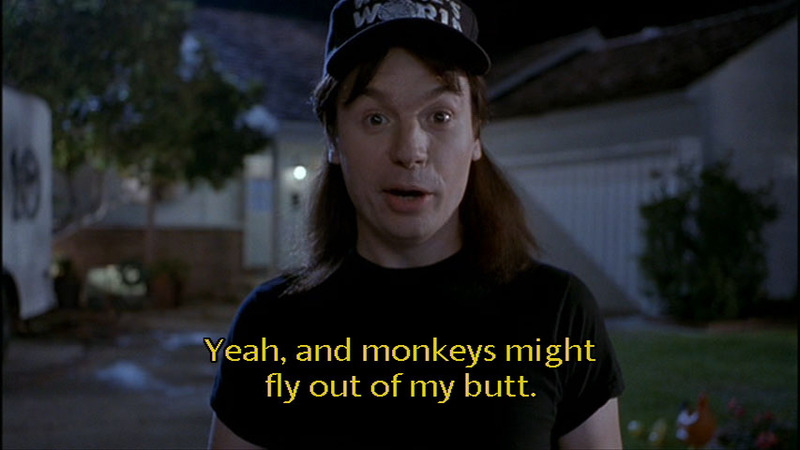 I know, according to the internet, that makes me a fanboy (heaven forbid someone enjoys Nintendo games and isn’t one). But oh well, what can I say, it’s always fun to see what the Big N has in store. On the downside, Zelda won’t be there. On the upside, it gives other Nintendo franchises a chance to shine. We know Mario Maker will be there, and I have huge hopes for this title, since it’s basically a dream come true. Hopefully E3 will give us a glimpse of how deep the final game will be. The return of Star Fox is also confirmed to make an appearance. Let’s just hope it’s like Star Fox 64 for a new generation and not like…every Star Fox game that isn’t Star Fox 64. Last year, Nintendo surprised the world with Splatoon, their first new IP since Pikmin (well, not really, but don’t tell the internet that). Can we expect a similar surprise from Nintendo this year? I don’t know, but it’d be pretty cool! 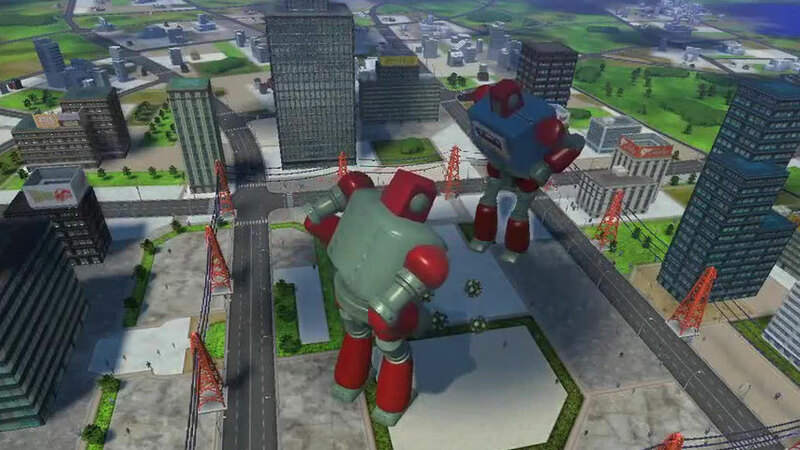 Perhaps Shigeru Miyamoto’s “Project Giant Robot” from last year’s show will become a new game of its own. Then there’s Nintendo’s other mainstays franchises, like Kirby and Metroid, who could show up once again. Personally, I would love to see another Donkey Kong Country game to turn the revived series into a trilogy to compliment the original SNES trilogy. But that’s just me. 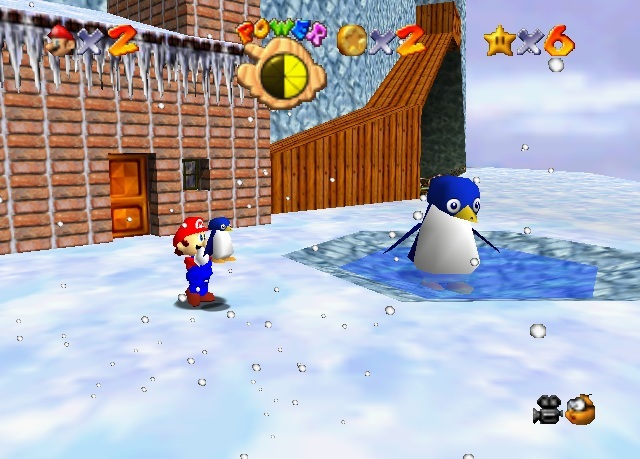 Of course, we can never rule out another Mario game. The Wii U has already seen Super Mario 3D World, but Nintendo has since announced that another 3D Mario is in the works for the system. If Zelda isn’t going to show up, it’s not too hard to imagine that a new Mario different from Mario Maker could take its place as Nintendo’s centerpiece. 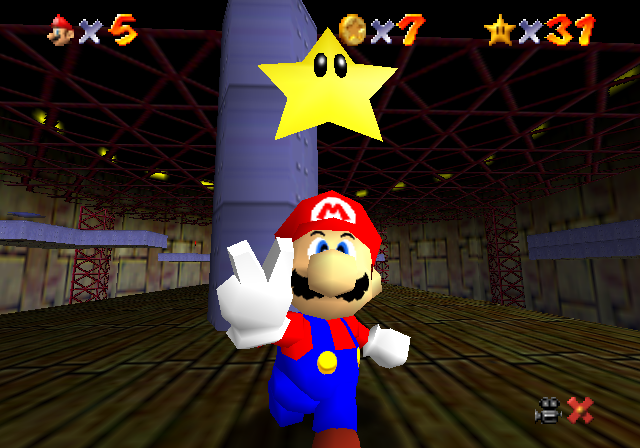 A new Mario RPG of some sort would also be great… Just so long as it’s not another Sticker Star. Nintendo isn’t all I’m excited about though. Playtonic Games has already announced that they’ll be at E3 with Yooka-Laylee in tow, and I’m looking forward to any new information on that one. There’s even a rumor that Rare might announce a new Banjo-Kazooie. Considering most of the original minds behind Banjo are now working on Yooka-Laylee, I’ll still probably see that more as the next Banjo follow-up, but I love the Banjo-Kazooie series enough that I could finally invest in an Xbox One just for a new entry… Just so long as it’s not another Nuts & Bolts (curse these disappointing sequels!). 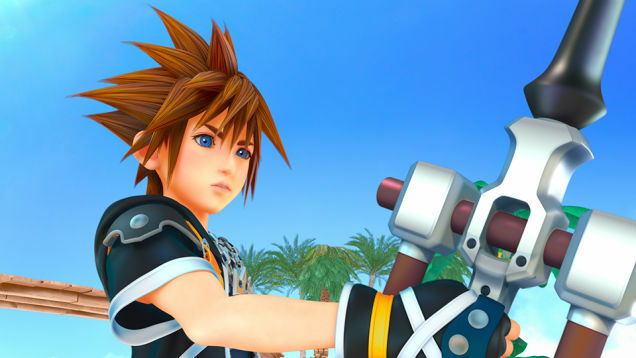 I’m curious to find out more information on Kingdom Hearts 3, if only because it might have a Frozen level in it. I’m actually not much of a Kingdom Hearts fan. The first one was great. It had some fun gameplay, and seeing all the Disney characters as well as some familiar Final Fantasy faces all lumped together was really cool. But Kingdom Hearts 2 turned the gameplay into button-mashing, the classic Disney villains from our childhoods were replaced with generic anime bad guys, and the story is so convoluted it makes Metal Gear look straightforward by comparison. It also doesn’t help that the small army of handheld spinoff games are actually part of the main story, so if you’ve missed out on those games (like I have), then it makes it hard to care too much. But lord knows I love Frozen, and a level based on the modern Disney classic may actually persuade me to give this game my interest. Of course, I’ll also be the first to pinpoint everything they get wrong with the Frozen level, so it’s a double-edged sword I guess. Whoa, way off subject there. 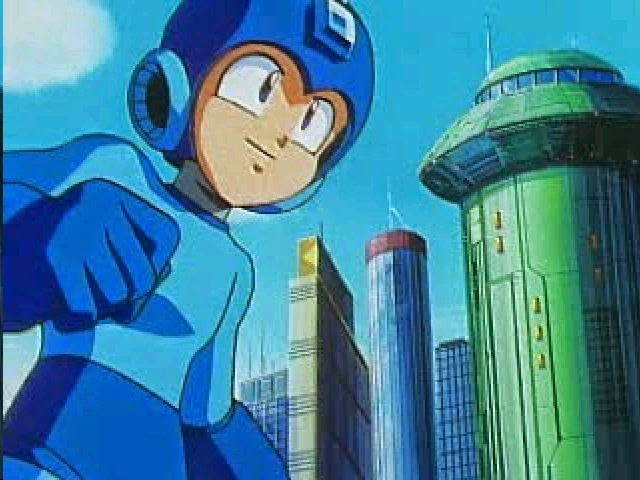 Anyway, with Capcom recently revealing the Mega Man Legacy Collection (a compilation of the first six Mega Man titles with some modernized bonus content), I can’t help but wonder if Capcom is finally letting Mega Man out of whatever cage they’ve locked him away in these past five years. It would be great if we see a new Mega Man title at E3, but I won’t get my hopes up too much. At least we’ll probably see something from spiritual successor Mighty No. 9 either way. Of course, there’s so much to look forward to at E3 every year that I can’t cover it all here. Some of the biggest treats will no doubt be the surprise announcements at the show. There are plenty of games we know will be at E3, and I’m hoping we’ll be pleasantly surprised with a host of new announcements at the show. Whatever E3 2015 has in store, I’ll be counting down the days. Even if I’m viewing from the sidelines, I’m hoping for a great show. Yoshi Touch & Go was one of the earlier games released on the Nintendo DS. As such, it fell under the category of early DS titles that were more about showcasing the DS’ capabilities than they were about delivering deeper gameplay experiences. The good news is that Yoshi Touch & Go provided a good example of touchscreen controls and took advantage of the DS’ duel screens in innovative ways. The bad news is that Yoshi Touch & Go can only hold your interest for so long, and its translation onto the Wii U’s Virtual Console can be a bit of a mixed bag. Yoshi Touch & Go uses the setup and aesthetics of the SNES classic Yoshi’s Island, complete with cute visuals and simple but sweet music. 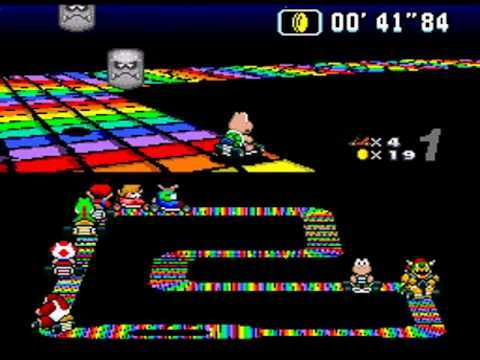 Yoshi sets out to save a baby Mario from the clutches of Kamek and his minions, just as he did in the SNES original. The twist here is it places the events into a score attack game. 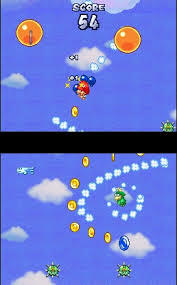 The gameplay is separated into two segments: One in which Baby Mario falls from the sky, with three balloons tied to his back, while the other sees Baby Mario riding on Yoshi’s back through a quasi-platformer. The first segment has the top screen fixed on Baby Mario, with players needing to draw paths on the scrolling bottom screen to help guide where Baby Mario will go next, being sure to collect as many coins as possible for a higher score, and avoiding enemies so Baby Mario doesn’t lose any of his balloons. 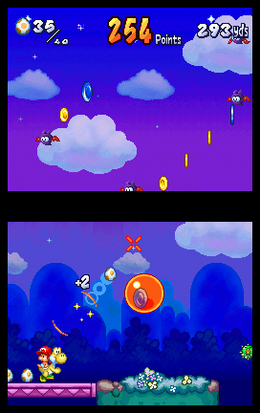 The second segment turns things into a sidescroller, with Yoshi moving on his own on the bottom screen, requiring players to draw paths over gaps, tap the screen to throw eggs in order to defeat enemies and collect out of reach coins, and tap Yoshi himself to make him jump. 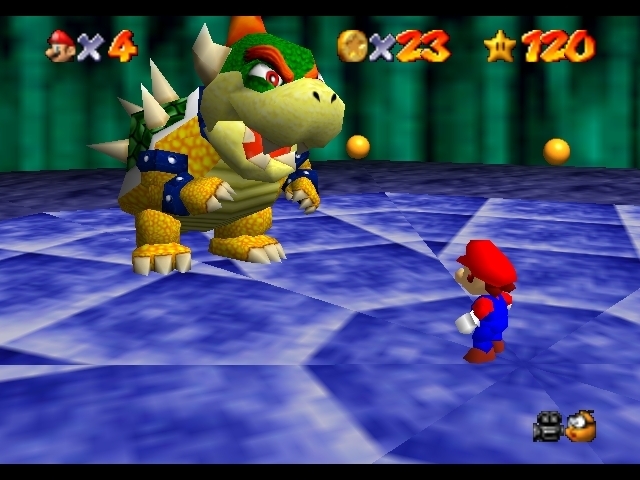 Unlike Baby Mario in the first half of the gameplay, it only takes one hit to get a game over in Yoshi’s stage. Both of these segments provide some fun, and no doubt they will have players trying to outdo their best scores. But the game has a distinct lack of variety. If you perform better during the Baby Mario portion, the Yoshi segment will see minor tweaks to make things more challenging for expert players, which is a nice touch. But you’re still more or less going through the same stage on repeat. The game adds a little flair by including multiple modes: Score Attack sees things wrapped up in a complete little package, with Yoshi’s stage having a definitive end, leaving players to try and best their top scores within this miniature adventure. Marathon, on the other hand, has no end, and players are simply tested to see how far they can go. Additionally, players can unlock Time Attack and Challenge modes, where they must continuously defeat enemies and grab coins to add time to a constantly ticking clock and put their skills to the test against enemy-riddled obstacle courses, respectively. 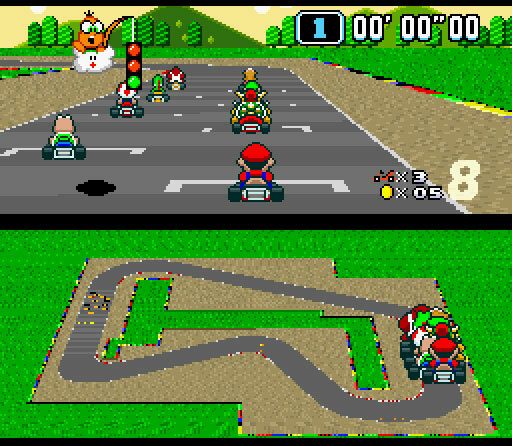 The multiple modes all add nice spins to the formula, but the sheer lack of variety in the core gameplay prevents Yoshi Touch & Go from feeling like anything more than a fun little tech demo. 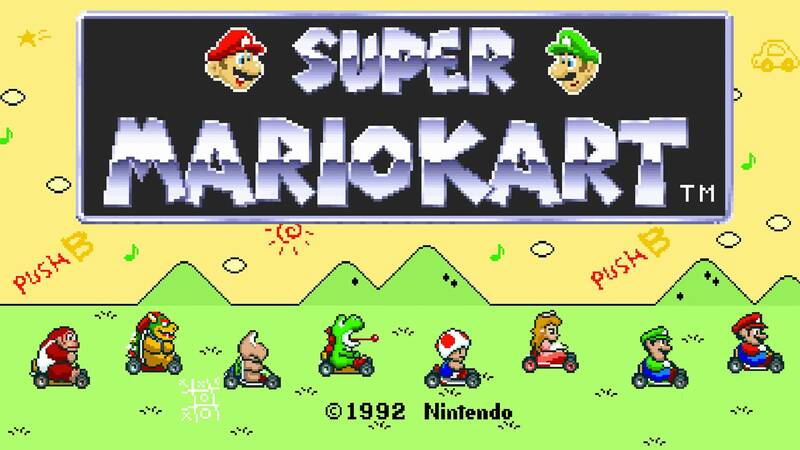 It should be noted that the game’s original release included a multiplayer Vs. mode, but that it is no longer functional in the Wii U Virtual Console release. So if you want to experience the game’s multiplayer mode, you and a buddy will need to play the game in its original form. Another downside to playing the game on the Wii U is that Yoshi Touch & Go requires careful attention to what’s going on in both screens at all time. The Wii U features several play styles for DS rereleases, so look for the ones that put both screens onto the Gamepad, as anything else is more than a little tedious. In the end, Yoshi Touch & Go can be a difficult recommendation today. Back in 2005 it was a nice showcase of the innovation the Nintendo DS brought to the table, and today its price of ten dollars is more reasonable than its full retail value of yesteryear. 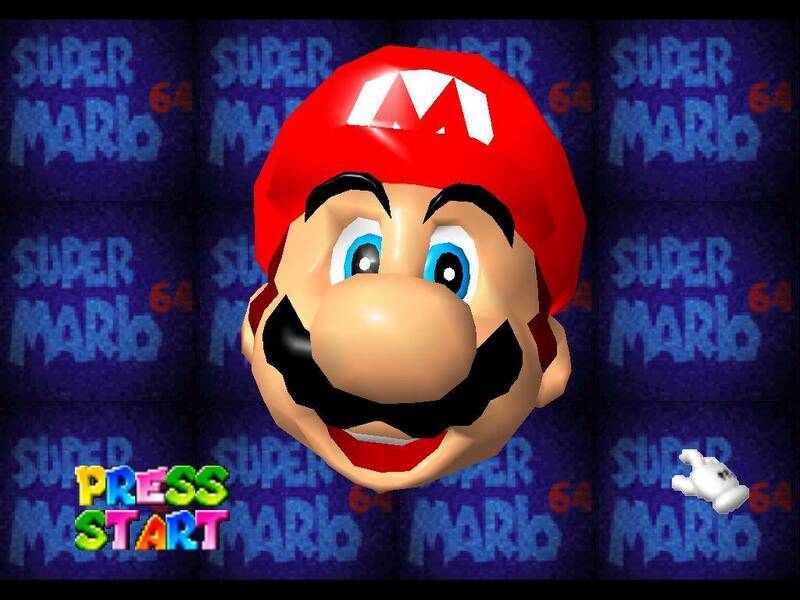 But given that you can download a classic like Super Mario 64 for the same price, Yoshi Touch & Go still costs more than it needs to. Yoshi Touch & Go isn’t a bad game, it’s innovative and even provides some fun. 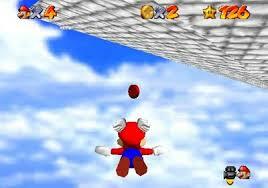 But it’s an overall shallow experience that Nintendo could have expanded on to create a more complete game. A fun little diversion, but when you know what else the Virtual Console has to offer, Yoshi Touch & Go will probably be pushed to the back of the “must-haves” line. When the Nintendo DS was first released, many of its games were little more than technical displays of the DS’ features. One such game was Electroplankton, which ranks among the strangest titles Nintendo has ever made. That’s not to say it’s strange in the usual Nintendo sense of whimsy and surrealism. 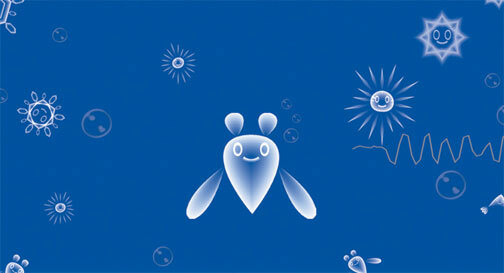 Rather, Electroplankton is a strange game because it’s hardly a game at all. It’s a title that allows players to tamper with nine different sound tests (each categorized by a different Electroplankton) to create unique melodies and sound effects. You can even record your own voice. The way the game goes about these “mini-games” can be creative: One Electroplankton allows you to record voice samples to four fish-like creatures, which then play the samples back in unison as they swim by. Another has players change the trajectory of arrows, and as four different colored Electroplankton follow them, they create different melodies. These are among the more fun experiences in Electroplankton, but to say that the fun is short lived is an understatement. Other Electroplankton games are so simplistic it’s close to shocking that they got their own category, instead of complimenting another: One Electroplankton has five records that the player can spin with the stylus to create (admittedly lovely) sounds, but spinning these records one way or another can only hold one’s interest for so long. Another game has players tapping the touchscreen to make Electroplankton eggs appear, which hatch seconds later to produce sounds. It’s games like this that require so little input they’d be better suited among WarioWare’s myriads of micro-games. Possibly the game’s biggest downside is that you can’t save any of your work. Even if you’ve managed to create a cool and catchy little musical number, you’ll lose it as soon as you hit the B button and exit the mini-game in question. It’s a baffling piece of game design. 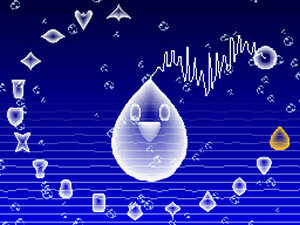 Electroplankton is a game about creating music and sound that doesn’t let you keep any of your creations. At the very least, Electroplankton has some interesting aesthetics going for it, with its visuals being colorful and almost ghost-like, and its sound design is appropriately catchy (one of the more memorable Electroplankton lets you tamper with the invincibility theme from Super Mario Bros.). Its look and sound is unique enough that Nintendo’s decision to adapt them into a Super Smash Bros. stage isn’t too surprising. The problem is that Electroplankton, despite its honest intentions at making a creative and soothing gaming experience, is just far too shallow to succeed. Perhaps with a host of additional Electroplankton or the ability to combine the existing ones, the game may have been a little more hefty. But Electroplankton ultimately feels flat, and the inability to save what you create just makes it sting all the more. Even in its day, Electroplankton felt a bit unfulfilled. Today it would barely even pass as an app on the 3DS’ home menu. When it comes to third party titles on Nintendo consoles, few have had the impact of Capcom’s Mega Man. 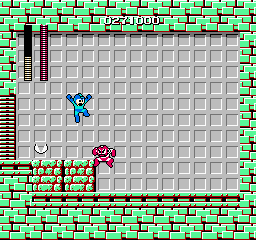 Back in its day, Mega Man was as synonymous with the NES as Super Mario Bros. or The Legend of Zelda. Although it was Capcom’s first console exclusive title, it proved to be a successful debut. Mega Man spawned countless sequels, and its hero remains one of gaming’s most beloved characters. While the original Mega Man is not without its problems (which its two immediate sequels touched up), it remains a great game to play even today. 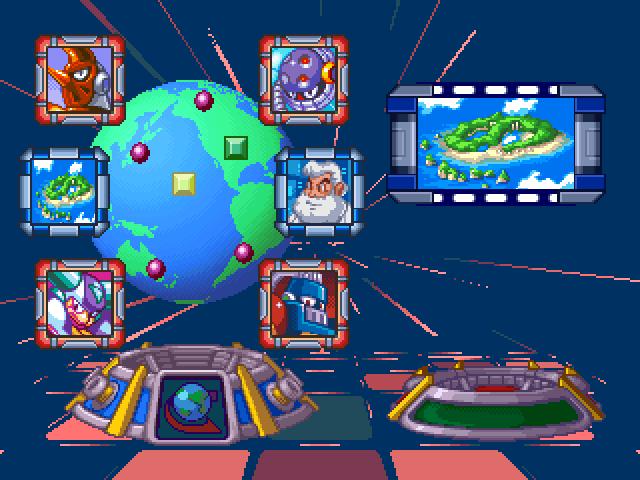 Mega Man was renowned for its non-linear structure, allowing players to choose between six different stages in whatever order they saw fit. At the end of each stage is a boss fight against a “Robot Master,” with each one giving Mega Man a new weapon upon defeat. 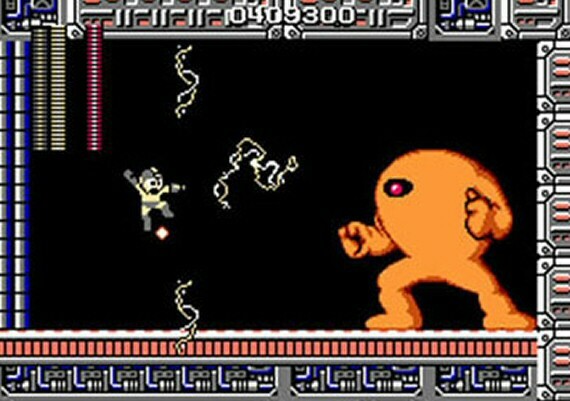 Another unique aspect of the game was its rock-paper-scissors-like structure, with each Robot Master’s given weapon working especially effective against another one. Players take the role of the titular Mega Man, a young robot boy trying to save the world from the nefarious Dr. Wily, who corrupted the six Robot Masters created by Dr. Light and repurposed them for his evil schemes. It’s the kind of simple but honest-to-goodness setup of many games of the time that adds to the game’s charm, even if plot was rarely present in the game itself. Mega Man’s gameplay remains tight and intricate. Mega Man can jump like Mario, but he must use his “Mega Buster” arm canon, or one of the Robot Masters’ weapons, to defeat enemies. 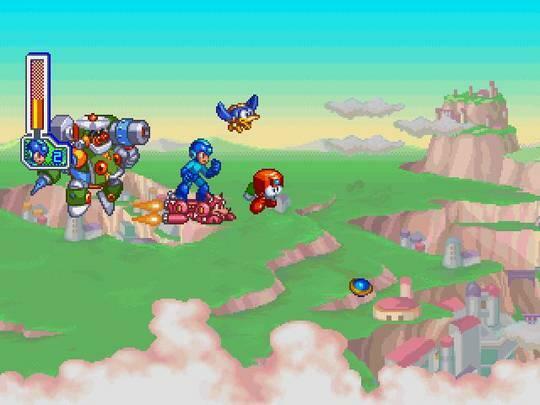 The weapon-based gameplay added a new spin on the platforming gameplay, and it gives the Mega Man series a sense of uniqueness among other retro platformers. Also of note is that this is the only Mega Man title with a scoring system, as Mega Man is awarded points for defeating enemies, picking up items and completing levels. It doesn’t add a whole lot to the experience, but those who want to beat their personal high scores may find reason to revisit the game numerous times. 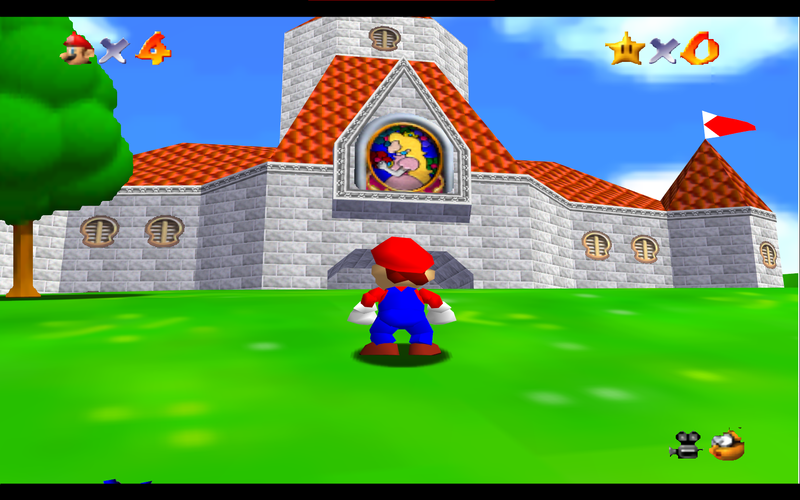 The level design was some of the most difficult of its age, and the game arguably remains the most challenging entry in the series. 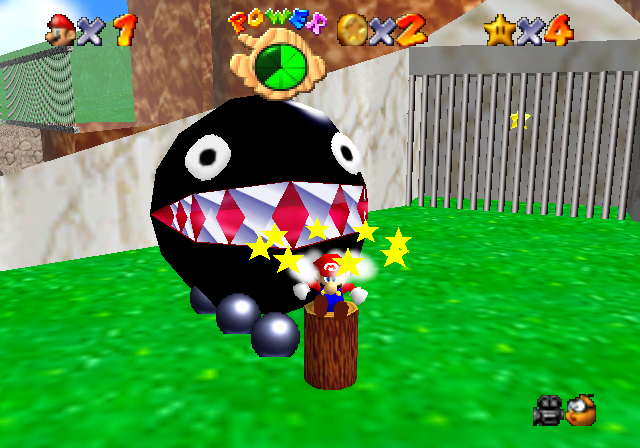 The game is fun, but some players may find the difficulty close to unfair, as some of the stages’ challenges require such precision in their platforming they teeter on unforgiving. 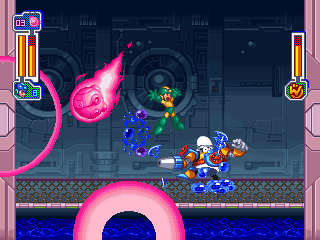 The bosses (and even some standard enemies) can take Mega Man down in a few quick hits, and replenishing items and extra lives seldom appear. The entire Mega Man series is known for its steep difficulty, but the original is the one that may be off-putting to some players for the sheer level of its challenge. One retrospective drawback to the original game is knowing how the sequels improved on the formula, leaving some aspects of the original to feel less fleshed out. The sequels would add sliding moves, charged blasts, and even sidekicks to the mix. The original, by comparison, feels stripped down and straightforward. A fault only in hindsight perhaps, but the comparison to its sequels is inescapable by this point. Visually, the game is one of the more approachable NES titles to revisit. The colors and characters are simple, of course. But the game has a distinct, fun look about it, and the great character designs add to its retro charm. The music remains one of the better NES soundtracks. It may not reach the same heights as some later entries, but Mega Man’s soundtrack is still one of the most iconic in the NES library. Mega Man remains a classic of the medium. Its sequels may have bettered it, with the two following installments still being considered the ‘definitive’ entries in the series, but the original Mega Man remains, in its own right, an absolute blast.